Mansjournaln.info is not a simple URL even though it might seem to be one at first glance, we can assure you. It has become clear for specialists at pcthreat.com in the blink of an eye that it is a domain which causes redirections to random websites with the commercial content. This happens periodically, but users usually do not see the domain Mansjournaln.info anywhere because a redirection to another page happens very quickly. Since Mansjournaln.info is closely associated with advertisements and pages displaying ads, it has been classified by researchers as an adware server. Generally speaking, its one and only goal is to disseminate advertisements and make sure that users click on them. Luckily, there is a way to put an end to activities it performs on your computer. What you need to do is to go to remove all unknown add-ons, delete the Scheduled Task it creates, and, finally, reset browsers to their default settings. More information about the deletion of this adware helper can be found in the last paragraph of this report, but, of course, users should find out first why the Mansjournaln.info adware helper should be erased before actually going to do that. Mansjournaln.info shares similarities with Youhomepage.org and Howtonews.ru. Actually, it might be true that they all belong to the same developer because they act almost identically. Both Mansjournaln.info and the mentioned helpers enter computers secretly and then immediately create a task. The Scheduled Task created not only allows them to cause redirections to certain third-party websites, but also enables them to open browsers (it might be true that this will happen with Google Chrome only) automatically with advertisements. For example, users might see a pop-up on http://02yzz.allaff.kaji.gdn/?sov=87987181&hid=fxlrhjhplfnjftpr&v=316G3249FF&rt=1&redid=15432&gsid=444&campaign_id=148&id=XNSX.282514660117-r15432-t444&impid=f1516b72-f2b3-11e6-8a4f-aa1f778d2780 offering to complete a short survey for a chance to win HD Streaming Movies. No matter what kinds of advertisements you are provided with, ignore them all completely and definitely do not take any surveys or provide other details about yourself. This might be a dangerous activity because the information you provide might be recorded and then sold to third parties. On top of that, users risk downloading and installing malicious software on their PCs by clicking on advertisements they see. Adware helpers generate the pay-per-click revenue for their owners, so it is not at all surprising that they are so prevalent these days. 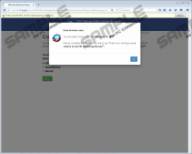 Researchers have decided to find out how they are usually distributed to help users prevent them from entering their PCs ever again. It has been found that the Mansjournaln.info adware helper is usually spread bundled in malicious software installers. It should come bundled with other Russian applications because it seems to be of a Russian origin too. This is one of the most common untrustworthy software distribution ways, but it is definitely not the only one, so users should be cautious. Our security specialists say that people who download tons of free software from file-sharing and similar web pages should be extremely careful because malicious software bundles are waiting for them on such web pages in particular. 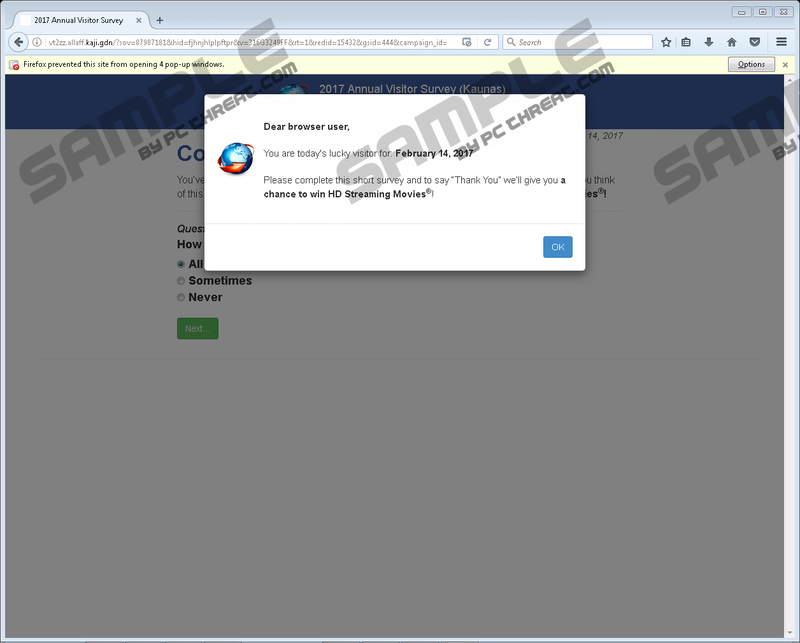 Users quickly realize that undesirable software has applied changes on their PCs when they start experiencing redirections to websites containing annoying advertisements. In the case of Mansjournaln.info, it, as has already been mentioned in this article, creates a new task in %WINDIR%\System32\Tasks to be able to show the commercial content. The name of the task should be similar to Mansjournaln.info, for example, mansjournaln.info/rifussm. Irritating redirections to dubious websites will happen every day until a user goes to delete the Scheduled Task created. There are only two removal steps you need to implement to fully remove the Mansjournaln.info adware helper. First, you should go to reset your browsers to undo the changes that have been applied to them and delete all suspicious add-ons. Second, you should go to delete a task created by this adware helper. Follow the manual removal instructions prepared by specialists at pcthret.com to help you, or use an automatic malware remover, such as SpyHunter. Whichever removal method you adopt, double-check that you no longer see ads after following our step-by-step instructions. If it happens that you are still presented with commercials, in the opinion of experienced specialists, it would be best to clean the computer with the help of SpyHunter. Click Download to get it, install it on your PC, launch its scanner, and click Fix Threats once it finishes scanning the computer. Press Alt+T and then click Internet Options. Open your browser and click on the button in the top-right corner. Click on the blue question mark icon at the bottom. Below Give Firefox a tune up, click Refresh Firefox. In the pop-up confirmation window, click Refresh Firefox one more time. Go to the bottom and then click Show advanced settings. Type %WINDIR%\System32\Tasks in the field on the Run window and press Enter. Find the task associated with Mansjournaln.info, right-click on it, and select Delete. Quick & tested solution for Mansjournaln.info removal.